No assembly required! 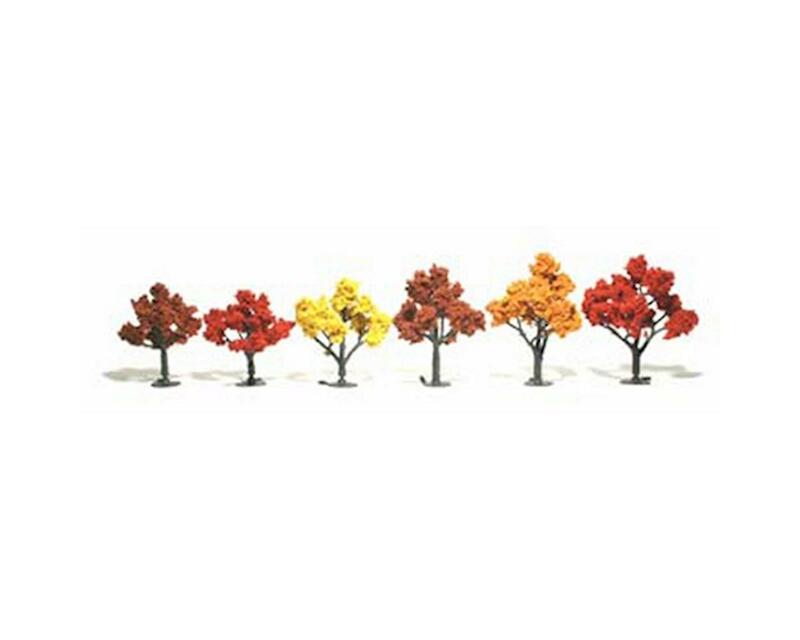 These ready-to-plant trees lend authenticity to any layout or diorama. Natural colors and realistic texture simulate nature and blend with other Woodland Scenics landscaping products. For ultimate realism, plant trees in clusters and intermix foliage colors. For more detail, spray with Scenic Cement (WOOS191) and highlight with Fine Turf in lighter or darker shades. Attach to layout with Hob-e-Tac (WOOS195) or Scenic Glue (WOOS190). 6 pieces per package - 3" to 5"